Samuel "Sammy" Herman Reshevsky (born Szmul Rzeszewski; November 26, 1911 - April 4, 1992) was a Polish chess prodigy and later a leading American chess grandmaster. He was never a full-time chess professional. He was a strong contender for the World Chess Championship from the mid-1930s to the mid-1960s: he came equal third in the 1948 World Chess Championship tournament, and equal second in the 1953 Candidates Tournament. He was an eight-time winner of the U.S. Chess Championship. 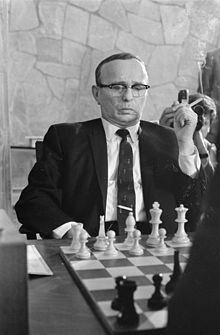 An outstanding match player throughout his career, Reshevsky excelled at positional play, and could be a brilliant tactician when required. He took a long time over his opening moves, and often found himself under time pressure, but this sometimes unsettled his opponent more than it did Reshevsky. He was an accountant by profession, and a well-regarded chess writer. Reshevsky was born at Ozorków near Łódź (in Poland). He learned to play chess at age four and was soon acclaimed as a child prodigy. At age eight, he was beating many accomplished players with ease and giving simultaneous exhibitions. In November 1920, his parents moved to the U.S. to make a living by publicly exhibiting their child's talent. Reshevsky played thousands of games in exhibitions all over the U.S. He played in the 1922 New York Masters tournament; at that stage, he was likely the youngest-ever player to have competed in a strong tournament. For a period in his youth, Reshevsky did not attend school, for which his parents appeared in District Court in Manhattan facing a charge of improper guardianship. However, Julius Rosenwald, wealthy co-owner of Sears, Roebuck and Company in Chicago, soon afterwards became Reshevsky's benefactor, and he guaranteed Reshevsky's future on the condition that he would complete his education. Reshevsky never became a truly professional chess player. He gave up most competitive chess matches for seven years, from 1924 to 1931, to complete his secondary education while successfully competing in occasional events during this period. Reshevsky graduated from the University of Chicago in 1934 with a degree in accounting and supported himself and his family by working as an accountant. He moved to New York City and lived there or in its suburbs for the remainder of his life. His 1941 marriage to Norma Mindick produced three children. Reshevsky was a devout Orthodox Jew and would not play on the Jewish Sabbath; his games were scheduled accordingly. Reshevsky won the U.S. Open Chess Championship in 1931 at Tulsa; this event was known as the Western Open at the time. He shared the 1934 U.S. Open title with Reuben Fine at Chicago. Reshevsky won the U.S. 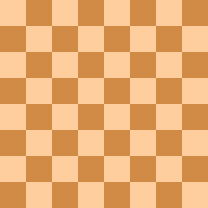 Chess Championship in 1936, 1938, 1940, 1941, 1942, 1946, and 1969. He also tied for first in 1972, but lost the playoff in 1973 to Robert Byrne. He competed in a record 21 U.S. Championships, and achieved a plus score every time except for 1966-67, when he scored just 4½/11. He also holds U.S. Championship records for most finishes in the top three places (15), most games played (269), and most games won (127). A year later Reshevsky shared third place at the Nottingham 1936 chess tournament. In 1937 he shared first at Kemeri, Latvia, and in 1938 shared fourth in the famous AVRO tournament in the Netherlands, which featured arguably the eight strongest players in the world. Reshevsky won his third U.S. Open title at Boston 1944. Reshevsky was a serious contender for the World Championship from roughly 1935 to the mid-1960s. He was one of the five chess grandmasters to compete in the World Championship match tournament in The Hague/Moscow 1948 and finished in joint third place with Paul Keres, behind Mikhail Botvinnik and Vasily Smyslov. This tournament was organized because World Champion Alexander Alekhine had died in 1946 while holding the title, which was an unprecedented situation. In 1950, Reshevsky was awarded the title of International Grandmaster by FIDE, the World Chess Federation, on its inaugural list. Although eligible, he did not play in the Candidates Tournament in Budapest. It has generally been believed that he was barred from attending by the U.S. State Department due to the Cold War. The only other eligible active player from a NATO country, Max Euwe of the Netherlands, also did not play. In 1991, however, Reshevsky said the decision not to go was his. The following Candidates in Zurich 1953 tournament was probably Reshevsky's best chance to qualify for a World Championship match, but he finished in joint second place with David Bronstein and Keres, two points behind Smyslov. Bronstein, in his last book, Secret Notes, published in 2007 just after his death the previous year, confirmed long-standing rumours by writing that the nine Soviet grandmasters (out of a field of 15 players) at Zurich were under orders from both their chess leadership and the KGB to not let Reshevsky win the tournament under any circumstances, with Smyslov being the preferred victor. When Reshevsky maintained his strong contention late into the two-month event, Bronstein claims that the Soviets prearranged several results in games amongst themselves to successfully prevent Reshevsky's overall victory, while also ensuring that Reshevsky faced the maximum test in his own games against the Soviet players. Bronstein had earlier (1995) written that he was ordered by the Soviet delegation leader to win as Black against Reshevsky in the second cycle at Zurich, and managed to do so after a very hard struggle. Several other writers, including GM Alexei Suetin (who was the second of Tigran Petrosian at Zurich 1953), also confirmed the Soviet collusion in Zurich. Reshevsky qualified for one more Candidates' in 1967, but lost the subsequent quarterfinal match to Viktor Korchnoi the following year. Reshevsky competed eight times for the USA at the Chess Olympiads, six times on board one, over a 37-year span, helping the U.S. team to win the gold in 1937 and bronze in 1974, and winning an individual bronze medal for his performance on board one in 1950. His complete results were (+39 −12 =49) in 100 games, for 63.5 percent. He played at Stockholm 1937, Dubrovnik 1950, Helsinki 1952, Munich 1958, Tel Aviv 1964, Lugano 1968, Siegen 1970, and Nice 1974. He played on board one for his first six appearances. In 1952, New York hosted the first eight games of an informal match for "The Championship of the Free World" between Reshevsky and Polish-Argentine grandmaster Miguel Najdorf. An additional five games were played in Mexico City and five more in San Salvador. Reshevsky won the match, 11-7. The following year a rematch took place in Buenos Aires. Reshevsky again won, 9½-8½. In his long career, Reshevsky proved a formidable match player. In 1941, he defeated I. A. Horowitz in a U.S. Championship playoff match by (+3 −0 =13). In 1942, he defeated Isaac Kashdan by (+6 −2 =3). In 1952, he defeated Svetozar Gligorić by (+2 −1 =7). In 1956, he defeated William Lombardy by (+1 −0 =5). In 1957, he defeated Arthur Bisguier by (+4 −2 =4). In 1957, he defeated Donald Byrne by (+7 −3 =0). In 1960, he defeated Pal Benko by (+3 −2 =5). Reshevsky lost his first match in 1964 but it was a four-game play-off match following the Amsterdam 1964 Interzonal, where he had tied for 8th-9th with the Hungarian Champion Lajos Portisch. The final spot for advancement to the Candidates Match was at stake and there was little time between the end of the Interzonal and the start of the match. Reshevsky's earlier matches had always had a lead time of several months, which allowed him to prepare his openings, but he proved to be at a distinct disadvantage in this area against Portisch, who was a full-time chess professional and always excellent in his opening preparation. Reshevsky was quickly outplayed on the White side of the Queen's Gambit Accepted in the first game and eventually fell on time in a lost position. In the second game, he played sharply with Black but Portisch was able to exchange the queens and a pair of rooks, thus draining much of the tension in the position. A draw by threefold repetition of position soon ensued. In his last game with White, Reshevsky had to go for broke. An Open Sicilian arose but Portisch seized the initiative on the queenside; having gained a clear advantage, he was able to translate it into a crushing kingside attack, thus winning the match and the final Candidates spot. Amsterdam 1964 was the first meeting between these two chess greats and Portisch was to prove a difficult opponent for Reshevsky, whose lifetime score against him was (+0 −4 =9). Reshevsky played on top board for the USA in the 1955 team match against the USSR, held in Moscow, and defeated world champion Mikhail Botvinnik over four games, winning one and drawing three. Once Bobby Fischer made his debut at age 14 in the U.S. Championship with the 1957-58 event, he dominated completely, winning on each of his eight attempts, leaving Reshevsky, the seven-time former champion, back in the chasing pack. There was little love lost between the two players, separated by a generation in age. Ahead of the Buenos Aires 1960 tournament, Reshevsky reportedly said, "I would settle for 19th place - if Fischer placed 20th." Reshevsky in fact won the Buenos Aires 1960 tournament, with Fischer well back; this was the only time Reshevsky finished ahead of Fischer in an international tournament. In 1961 Reshevsky began a 16-game match with the then-current U.S. Champion Fischer; it was jointly staged in New York and Los Angeles. Despite Fischer's recent meteoric rise, consensus opinion favored Reshevsky. After eleven games and a tie score (two wins apiece with seven draws), the match ended due to a scheduling dispute between Fischer and match organizer Jacqueline Piatigorsky, with Reshevsky receiving the winner's share of the prize fund. In the 1967 Sousse Interzonal, Fischer turned up 53 minutes late (only seven minutes short of an automatic time forfeiture) for his game with Reshevsky, and made his opening move without a word of apology. Reshevsky, who had been convinced that Fischer had withdrawn from the tournament, lost the game badly and complained furiously to the organizers. Despite losing that game, Reshevsky advanced to the next stage. Reshevsky also refused to play for the U.S. team in the Chess Olympiads of 1960, 1962 and 1966 because Fischer, as U.S. champion, was chosen ahead of him for the top board. He did, however, finally consent to play on a lower board in 1970, the only time the two men appeared in the same team. Although Reshevsky and Fischer had one of the fiercest rivalries in chess history, Fischer greatly respected the older champion, stating in the late 1960s that he thought Reshevsky was the strongest player in the world in the mid-1950s, around the time when he defeated world champion Mikhail Botvinnik in their four-game mini-match, which was the top board of the USA vs USSR team match held in Moscow. It was only in 1968, in his 57th year, that he finally lost a match where he had time for extensive preparation. This was against Viktor Korchnoi in Amsterdam in the first round of the Candidates. The match was scheduled for ten games but the younger Grandmaster proved too much for Reshevsky, who didn't win a game and lost by the final score of 5½-2½. During his long chess career, Reshevsky played eleven of the first twelve World Champions, from Emanuel Lasker to Anatoly Karpov, the only player to do so (he met Garry Kasparov but never played him). He defeated seven World Champions: Lasker, José Raúl Capablanca, Alexander Alekhine, Max Euwe, Mikhail Botvinnik, Vasily Smyslov, and Bobby Fischer. Aside from U.S. Championships, Reshevsky's important tournament titles included: Syracuse 1934, Hastings 1937-38, Leningrad/Moscow 1939, Hollywood 1945 (Pan American Championship), New York 1951 (Maurice Wertheim Memorial), Havana 1952, New York 1956 (Lessing Rosenwald Trophy), Dallas 1957, Haifa/Tel Aviv 1958, Buenos Aires 1960, Netanya 1969, Reykjavík Open 1984, at age 72. Reshevsky competed seriously at least semi-regularly, virtually until his death in New York City in 1992. He defeated old rival Vasily Smyslov in a tournament game in 1991. Reshevsky was a tough and forceful player who was superb at positional play, but could also play brilliant tactical chess when warranted. He often used huge amounts of time in the opening, a dangerous tactic which sometimes forced him to play the rest of the game in a very short amount of time. That sometimes unsettled Reshevsky's opponents, but at other times resulted in blunders on his part. Reshevsky's inadequate study of the opening and his related tendency to fall into time-pressure may have been the reasons that, despite his great talent, he never became world champion; he himself acknowledged this in his book on chess upsets. This Reshevsky shortcoming was similarly noted by GM Larry Evans in commentary contained in the book My 60 Memorable Games, written by Fischer. Reshevsky specialized in closed openings with the White pieces, usually opening with 1.d4, and was a virtuoso with the Exchange Variation of the Queen's Gambit Declined. He rarely opened with 1.e4 against strong opposition. With the Black pieces, he employed a broad and varied repertoire during his long career. Contemporary American GM Arnold Denker complimented Reshevsky's extraordinary tenacity and fighting spirit, and noted that Reshevsky developed a vital advantage in his great head-to-head battles with his main American rival, GM Reuben Fine, particularly in U.S. Championships from the mid-1930s through the early 1940s. Trouble in games against Reshevsky was the main reason Fine was never able to win the U.S. Championship; Fine abandoned professional chess by the late 1940s, and switched to a successful career as a psychologist. Reshevsky's books include Reshevsky on Chess (1948), How Chess Games Are Won (1962), Great Chess Upsets (1976), and The Art of Positional Play (1978), as well as an account of the 1972 World Championship match between his great rival Bobby Fischer and Boris Spassky. He was also a columnist in chess magazines, and wrote about chess for The New York Times. "By playing slowly during the early phases of a game I am able to grasp the basic requirements of each position. Then, despite being in time pressure, I have no difficulty in finding the best continuation. Incidentally, it is an odd fact that more often than not it is my opponent who gets the jitters when I am compelled to make these hurried moves." I am essentially a positional player, although I can conduct an assault with precision and vigor, when the opportunity arises. My style lies between that of Tal and Petrosian. It is neither over-aggressive nor too passive. My strength consists of a fighting spirit, a great desire to win, and a stubborn defense whenever in trouble. I rarely become discouraged in an inferior situation, and I fear no one.